Horst Liepolt, a jazz promoter, producer, and curator who contributed to the development of important scenes on two continents, died Jan. 9 at his home in New York. He was 91. His death was confirmed by his wife, Clarita Liepolt, who said that he had been declining since a stroke a few years ago. A native of Berlin, Germany, Liepolt was a seminal figure in cultivating a thriving jazz community in Melbourne, Australia in the 1950s, then moved on to do the same for Sydney in the 1960s and ’70s. Moving to New York in 1981, Liepolt became a partner in the Greenwich Village jazz clubs Sweet Basil and Lush Life, where he curated the programming and elevated both establishments to the upper tier of Manhattan jazz clubs. Liepolt was also an active record producer, owning his own 44 Records label in Sydney and producing dozens of live recordings at Sweet Basil during his tenure there in the ’80s and early ’90s. After his retirement he became a painter, using the canvas to portray his love of jazz through abstract expressionism. Horst Liepolt was born July 27, 1927 in Berlin. His father was a modernist writer, his mother a concert pianist. His youth coincided with the rise of the Nazi regime, which emphasized classical and German traditional music; when a band playing the latter disappointed him in 1944, a stranger invited him over to listen to a then-forbidden Louis Armstrong record. “It was like being hit by a car going at 2000 miles an hour,” he recalled. The music quickly became an obsession. In 1951, he made up his mind to go to New York; however, a clerk denied him a visa to the U.S., suggesting that he try Australia instead. He was soon on a plane to Tasmania, moving six months later to Melbourne. By 1957 he had opened a club there, Jazz Centre 44, began producing recordings by its regular performers, and became editor of More Jazz magazine. Relocating to Sydney in 1960—part of an exodus of Melbourne jazz musicians to Australia’s largest city—Liepolt compounded his success with another club, the Bird and Bottle, and resumed his career as a producer. 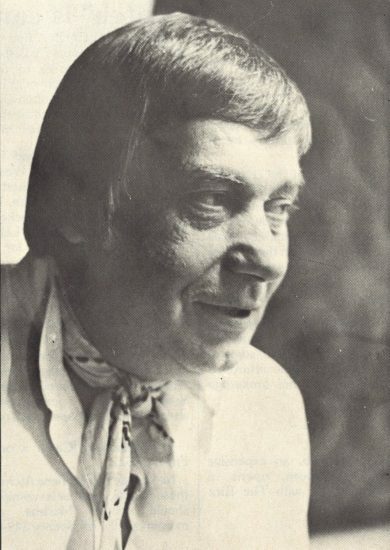 By the mid-’70s he had helped to open yet another venue, the Basement, and had founded the Festival of Sydney jazz festival, the Manly Jazz Festival, a concert series called “Music Is an Open Sky,” and his 44 Records label, which released over 30 titles with Liepolt as the sole producer. By 1980, however, he had grown restless. He made the move in 1981, and soon afterward met Mel and Phyllis Litoff, who owned Sweet Basil. Liepolt partnered with them, becoming the club’s musical director and booking a range of artists including the David Murray Octet, Old and New Dreams, and Olu Dara. Trad jazz elder Doc Cheatham held a weekly Sunday-night residency there for many years, followed by a Monday-night stand by the Gil Evans Orchestra. A few years later, Liepolt and the Litoffs opened Lush Life in the Village, featuring yet another Monday-night big band residency, that of Lew Tabackin and Toshiko Akiyoshi, along with regular performances by pianist McCoy Tyner. Liepolt also founded the Greenwich Village Jazz Festival, a free event in Washington Square Park (which lasted only a few years). Liepolt produced over 50 American jazz albums, most of them from live recordings at Sweet Basil, including titles by Tyner, Paul Bley, Art Blakey, Cedar Walton, and Terence Blanchard. His production Bud & Bird, by the Gil Evans Monday Night Orchestra, won a Grammy in 1989. Retiring from Sweet Basil in 1995, Liepolt briefly returned to Berlin but found that he’d grown accustomed to the fast pace of New York. He soon returned to the city, producing a few archival Sweet Basil recordings for release, and devoted himself primarily to abstract painting. He was especially committed to a series called Jazz: Looking from the Inside Out, works on canvas and paper that paid homage to artists and compositions he had encountered through his long career. A retrospective exhibition of Liepolt’s paintings was held at El Barrio’s Artspace P.S. 109 in East Harlem in July 2017, in celebration of his 90th birthday.